Not Irish? Not a problem! No matter where you’re from, you can always join in the fun and celebrate St. Patrick’s Day. Then tomorrow, (or perhaps next week sometime, depending on how long it takes you to recover from today’s festivities), the new language app from International House World will have you saying hola, bonjour, and guten tag in no time. I’ve been an international vagabond for quite sometime now, so I’m very familiar with the International House World Organization. In fact, I looked into living at the IH in London and working at the one in Buenos Aires. Although neither inquiry came to fruition, I nevertheless love what the organization does. You see, The International House is a language learning organization (and global brand) in 50 countries that help little wandering vagabonds learn how to communicate with the people of whatever particular country they find themselves in. Naturally, the organization has come out with a new app that helps said vagabonds learn language on the go, because… you know… they’re always on the go and stuff. 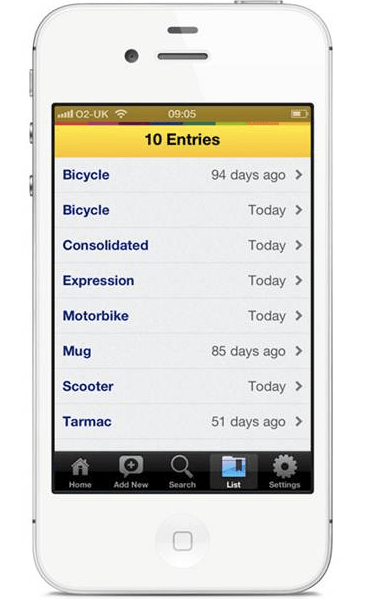 The app, called My Words, launched in December and is available on iPhone and Android (for free, baby!) 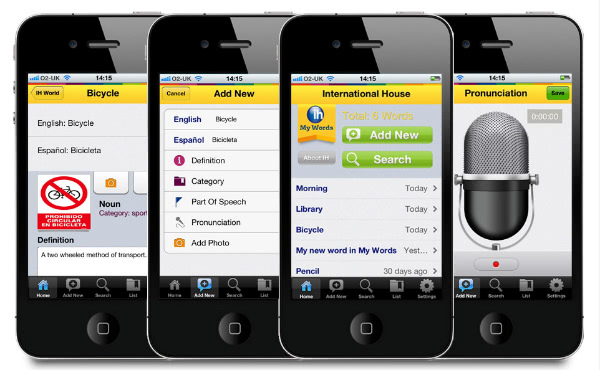 The International House is calling the app a “mobile vocabulary book” that helps you store the words you use in class or learn along your travels so that you can refer to them later. The app also lets you record your voice to help with pronunciation, let’s you self-translate into two languages, with 15 languages to choose from, has a word search facility and even has photo references. All the best language learning features are there, and all for free. Boom. Membership services and internal communications manager Sophie Montagne, says International House wants language students to constantly be exploring language, not just in class. They can learn in a queue, on a bus or during a lunch break. She said the app was designed to help students remember the vocabulary they usually “scribble on a piece of paper and never look at again.” Sophie says the app has already taken off at all of their International Houses around the world. Learning a language is no easy feat and that’s why any app that will help in this tedious process is a gem. Check out My Words and take a stab at a new language. I mean, I wish I knew about this when I was struggling to learn Spanish. Could have really helped a sister out.